Everyone deserves a weekend away now and again, so when it comes time to do so, you’re going to want to find the very best! The best spas help you to disappear into comfort, forgetting all of your day-to-day worries. These spas do it just right. Here are our favorites in the Lone Star State. Whether you’re purchasing an all-inclusive package or simply want to enjoy an afternoon getting pampered, Lake Austin Spa and Resort is for you. Lake Austin is a 40-room luxury spa resort that offers activities such as a foam roller self massage, Lakeview tai chi, candlelight meditation, garden fresh cooking classes, breath and meditation, and private kayak instruction. 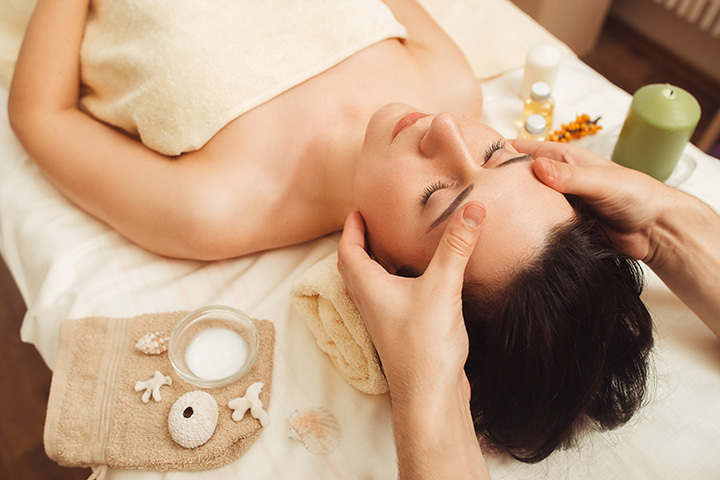 Spa treatments include massage therapy, acupuncture, facials, and much more. Check their website to book your next stay. Nestled in the woods of Montgomery, Texas, is the Deer Lake Lodge and Health Spa. Spa services include various packages of facials, manicures, pedicures, massages, holistic rituals, body wraps and scrubs, and more. Can’t get enough? Book an overnight or extended stay to discover the rest of what Deer Lake Lodge has to offer. The Woodhouse Day Spa serves the Belton, Texas area, and was named Readers’ Choice as “Best Day Spa in Central Texas” by Temple Daily. It has also been awarded America’s “Favorite Day Spa” by the Professional’s Choice Awards multiple times. Signature services include skin care, waxing’s, sleep treatments, massage therapy, body treatments, foot treatments, and hand treatments, with regular special packages and offerings. The Sanford Inn and Spa “is a luxurious Boutique Hotel located in historic Arlington, Texas.” The inn has 12 rooms, a fine dining restaurant on-site, and a full-service spa. Technicians are available Thursday-Sunday and offer gel polish with manicure, conditioning treatment, massages, Sabai Thai Herbal massages, body scrubs, and much more. The Spa at Cinco Ranch styles itself as “The Top Full-Service Houston Day Spa.” Stop by for a massage, manicure, pedicure, body treatment, facial, nail services, or hair salon to see what all of the fuss is about! The spa was recently named the “Best Day Spa” and “Best Facials” in Katy by Living Magazine. Cherry Blossoms Spa has been voted “Best Spa of Bastrop County” numerous times. Treatments include facials, massages, waxing, lash and brow tinting, chemical peels, eye treatments, and much more. Check their website to book your next appointment. Rainbow Hearth Sanctuary and Retreat Center in Burnet, Texas, is a bit off the beaten path. Inspired by the founder’s mystical experiences upon first visiting the land that would become the Rainbow Hearth Sanctuary, they now offer multiple accommodations, including guest houses, suites, and yurts, and full body massages. Get in touch with your spiritual side as you enjoy the beautiful scenery of Lake Buchanan and Brunet. Interested in a great massage? Check. Need a weekend away as a couple? Check. How does a facial sound? Above and Beyond Day Spa in Fredericksburg, Texas offers it all. Consider taking advantage of the “Companion” combo package, which includes a body massage and European facial massage. Founded in 1974, the humble Woodlands Inn has grown over the years into a 60,000-square-foot Conference Center and spa. The resort sits on 28,000 acres of forest and is perfect for a day away or a four-day retreat. The spa is open Wednesday through Sunday from 9 a.m. until 8 p.m. Check their website for the special of the month. This Harker Heights spa and salon provides the ultimate relaxation. Ecoblu’s range of spa services include 30, 60, and 90-minute massages, skincare treatments including exfoliating facials, manicures and pedicures, as well as other treatments like an aroma seaweed body wrap.